A 65-year-old patient suffering from Adenocarcinoma of the stomach was spending hefty amounts of money on surgery in private hospital. 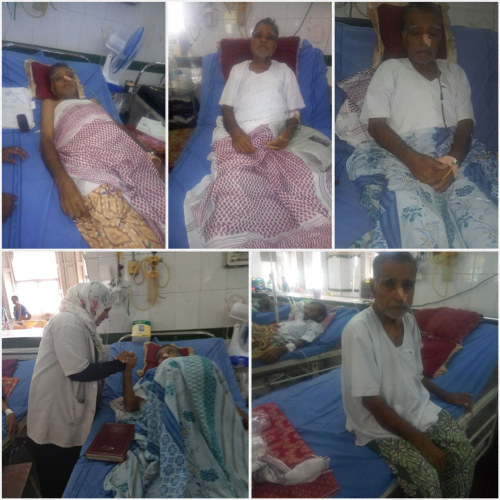 Our volunteers shifted him to Osmania General Hospital (OGH), and he is now undergoing treatment without having to spend a penny. 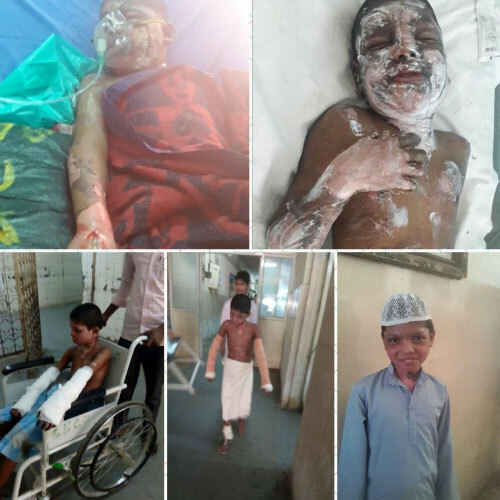 While playing, a young boy studying in a Madarsa, accidentally came in touch with live wire and sustained 50% burns. 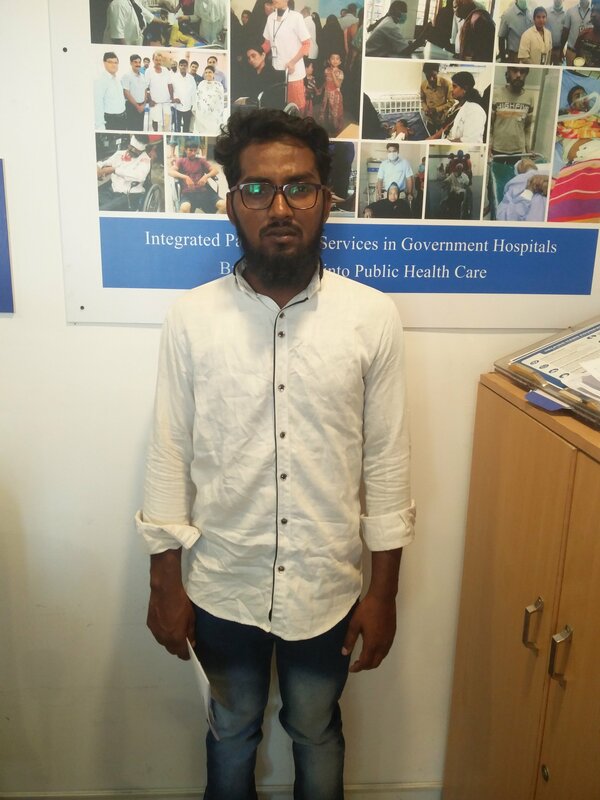 He was successfully treated at the Plastic & Reconstructive Surgery Department of Osmania General Hospital with support extended by our volunteers. The same treatment in a corporate hospital would have cost Rs 5 lacs and more but we ensured not a single rupee was spent by the poor boy’s family in this case. A 10-year-old-boy was found in a very pitiable condition during our door-to-door survey as he was not able to pass urine. The doctors diagnosed his condition as urosepsis, neurogenic bladder and metabolic acidosis. With the intervention of our volunteers, he is now in a stable condition following a month-long treatment under a wonderful and committed team of nephrologist led by Dr PS Vali and Dr Karthik. The family did not spend a single rupee for the treatment. 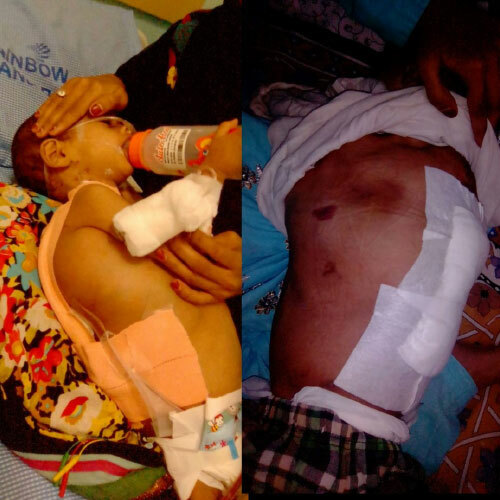 An 18-month-old suffered endless pain with congenital Lymphangioma and had to undergo a Major Excision Surgery at Rainbow Hospitals followed by medical management. Helping Hand Foundation supported the child's case with Rs 3 lac. 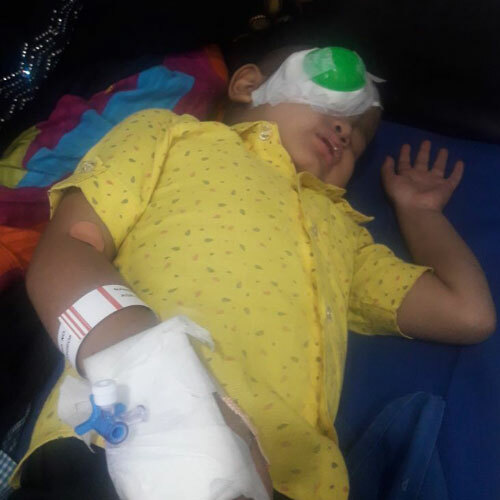 A 4-year-old boy was suffering from bilateral retinoblastoma and had to undergo surgical excision at a private eye hospital for which Helping Hand Foundation paid Rs 1.5 lac. 10yr old patient – was suffering from Hydrocephalus (fluid formed in the brain). Father is an auto driver. They first approached us at our Community Health Center. 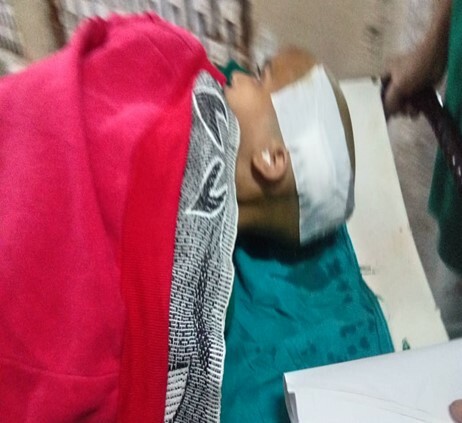 She was admitted into Osmania Hospital and after investigation doctor included that she urgently required surgery. HHF arranged a VP Shunt from Niloufer Hospital and two volunteers stayed with the patient until her surgery. The surgery was successful and the patient is now recovering. Master. Mohammed. 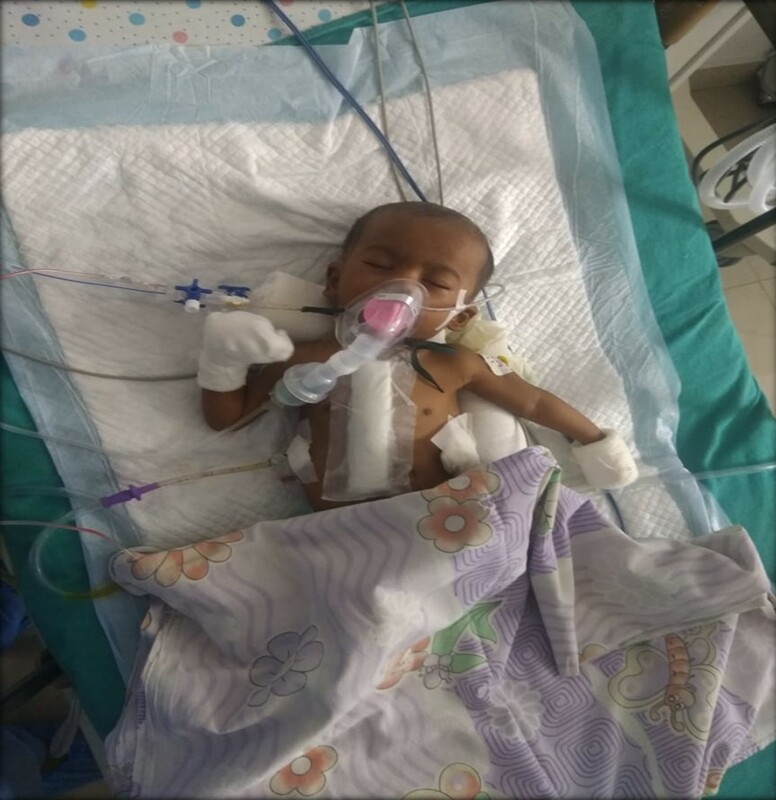 Roman, 9 months old boy suffering with Congenital Heart Disease (CHD) - TAPV (Total anomalous pulmonary venous return) – He underwent TAPV Correction successfully operated by, Dr. Tapan Dash at Care Hospital. HHF has paid Rs 2.50 lakhs for the surgery from your donation. Deserted by her husband, the public health service provided to pregnant woman Jyothi at state-run Gandhi hospital in Hyderabad is a testimony to what charity fundraising can do for healthcare NGOs like Helping Hand Foundation. Though helping needy people is the motto of health NGO Helping Hand Foundation, our healthcare volunteers were as perplexed as the 108 ambulance emergency medical technician. With least concern for her health issues, Jyothi’s husband deserted her when she was in the seventh month of her pregnancy, leaving her to fend for herself, the unborn child in her womb and their two-year-old son. 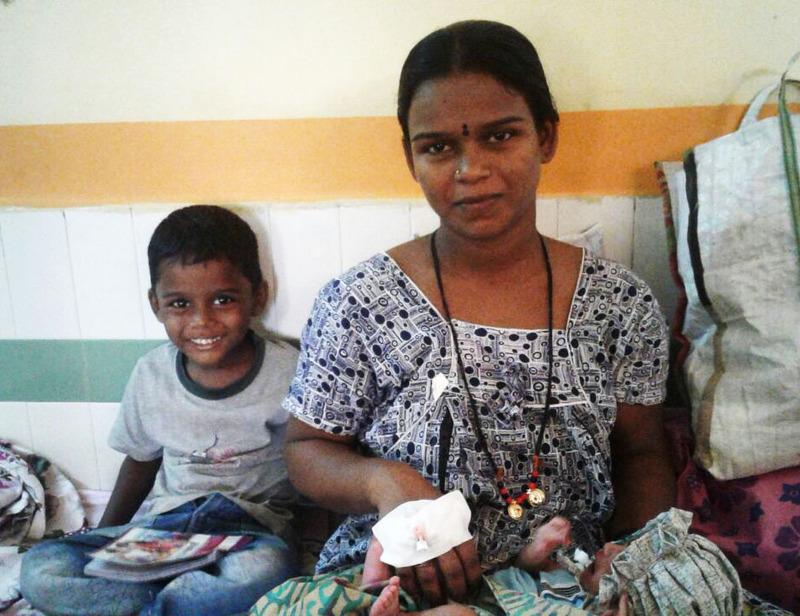 Two months later, it’s just her two-year-old son accompanying her to the hospital when healthcare volunteers from Helping Hand Foundation received Jyothi at Gandhi hospital for a C-section delivery in a 108 ambulance on June 3. Praja Arogya Mitras of health NGO Helping Hand Foundation empathised and facilitated all medihelp needed to Jyothi, but socially responsible investing is what’s needed to help more such destitute patients like her. When you think of best Indian charities to donate to there are a few better alternatives to the likes of what health NGO Helping Hand Foundation does every day. Sample this: The EMT of 108 ambulance refused to take her to the hospital as Jyothi did not have an attendant but had to be convinced as our health organisation promised to accept her responsibility. Once she was brought in the ambulance, it’s our healthcare NGO volunteer Uma Rani completing all the paperwork for her including signing the consent form before her surgery. For the next 10 days, volunteers of our health NGO were at her bedside: arranging blood donor, clothes, food, supporting the cost of all necessary investigations, medicines and an ayah to look after her two-year-old son at night at the hospital. This isn’t all as. Besides medihelp, Uma had to stay with Jyothi in the labour room till late in the night to provide her moral support. There are several ways to help the poor but what we do is more vital as our charity care gives them a ray of hope to survive by looking after them like our own family. 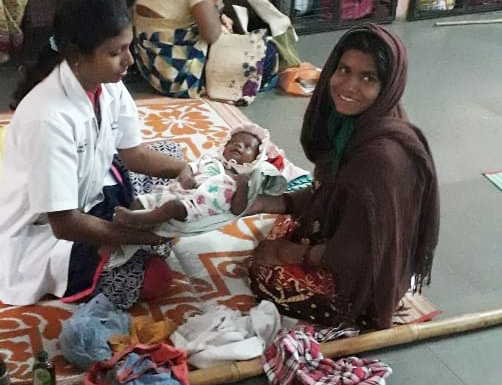 In the hospital, Jyothi gave birth to a healthy baby boy and it’s not before volunteers of our healthcare NGO counselled her husband by the time she was discharged from Gandhi hospital on June 13. She was reunited with her estranged husband, making her wish fulfilment a reality but her battle against poverty will continue unless she gets help. When you donate online to charity for health organizations like Helping Hand Foundation, it makes a world of difference to destitute patients like Najamunisa Begum, 22. 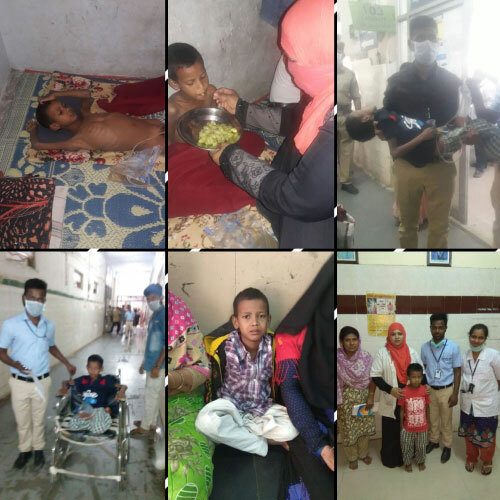 Helping needy people in the cause of public health is the driving factor for healthcare NGO Helping Hand Foundation as that was what made our volunteers rush to help polio-afflicted Najmunisa when she turned up limping at Gandhi hospital with her newborn boy. Her story makes a strong case for socially responsible companies to support charity fundraising. How did she land in Gandhi hospital? One would wish to help the poor but what could be done when polio-stricken Najamunisa, 22, born in Chakangari village, Barhawa Siwan Taluk in East Champaran District of Rural Bihar, is married off to a deaf & alcoholic carpenter by her step-mother, a year after the death of her father. Her stepmother made a hell of her life after she forced her out of her home as her delivery date came close, leaving Najma’s health care to fate as she got herself admitted in a district Hospital and underwent a C section surgery to deliver a baby boy – all alone. Our social responsibility towards her may not have arisen had she not boarded a train to Bangalore in search of her husband Salman Alam – who deserted her three months after their marriage - with her newborn child. However, her luck ran out when her train halted at Secunderabad when she realised she needed medihelp as she started bleeding from the sutures. She was advised by fellow passengers to disembark to go to state-run Gandhi Hospital for treatment. How healthcare NGO helped her? The volunteers of healthcare NGO Helping Hand Foundation spotted her and immediately took her inside into the hospital on June 25. She was treated by caring doctors at the state-run Gandhi Hospital promptly and given medication to stop her bleeding. We have many such heartbreaking stories that call for multiple ways to help the poor like how we assisted her in boarding a train to complete her journey to Bangalore in search of her husband, following her discharge from Gandhi hospital. However, there are issues beyond public health problems in most of the cases our volunteers deal with as the ill-fated woman landed up at Gandhi hospital again on July 12 hoping for help. Our healthcare NGO volunteer Uma Rani learnt that she was allegedly assaulted by her husband in an inebriated condition when she reached Bangalore. What we did next for her could be done in a better way if corporate social responsibility companies come forward to help us not just fulfill a dream but several dreams of poor patients like her. With just one pair of clothes on her and a few clothes in a bag for her child, the volunteers of our health organization provided her urgent help as she was also dehydrated. She was fed and bathed by our volunteers and arrangement was made to keep her in the ashram in Gandhi Hospital for a night before she was shifted to a home for women but we could do more if socially responsible companies come forward. Soon after, the officials at the State home referred her to the ‘Savodhya’ home for women in need run by GHMC at Amberpet, where she is now battling the trauma that she has been through all this while. A 27yr old unmarried man met with a road accident. He underwent Total Hip Replacement of the left side at a Private Hospital in his village, which was unsuccessful. The hospital asked for 2 Lakhs to rectify a problem they created. After hearing about HHF he visited Hyderabad. HHF directed him towards NIMS, where he was successfully operated. HHF also sponsored his entire expenditure. 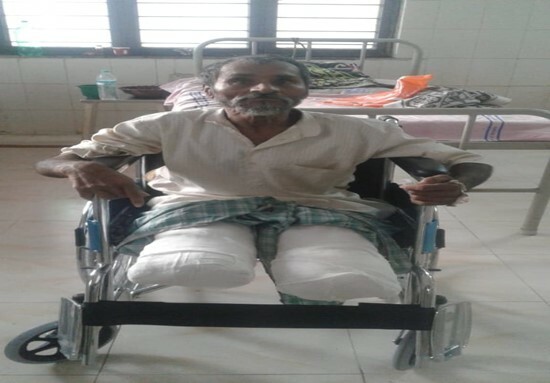 Patient Mr. Hanmanthu is from Heerapur Village, Adilabad who met with an accident and lost both of his legs. He is the only earning member of his family and he is a daily wage labourer. Presently, he is undergoing treatment in RIMS, Adilabad. I on behalf of my friends donated Rs 15016 towards his medical expenses. In this regard, we requested HHF to explore the possibilities of providing a wheel chair for him at the earliest. And instantly HHF approved for the wheel chair. Patient is now in recovery mode, making best use of his new wheel chair. Imroze Alam, 20 year old student from Odisha, suffered Traumatic Optic Neuropathy as a result of a bike accident. The trauma caused total blindness in both of his eyes. He was referred to L.V Prasad and then to Akbar Eye Institute where they said that he has 1% chance of recovering. After undergoing Bilateral Optic Nerve Decompression by Dr. Syed Ameer Basha at Care Hospital, his vision has been restored by up to 50%. 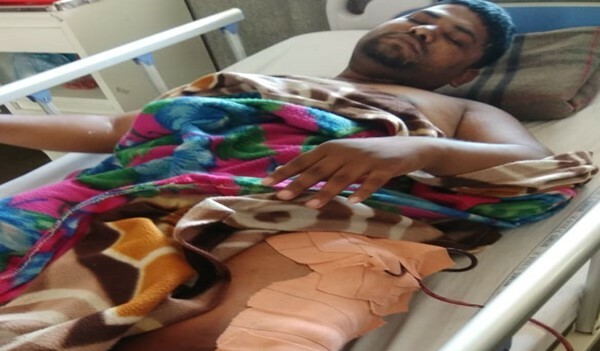 HHF supported him with Rs 1.7 Lakhs for the operation. He is now on medication which are gradually improving his eye sight. H.No: # 9-4-84/16, First Floor, Janaa Heights, Kakatiya Nagar Colony, Nanal Nagar X Roads, Opp Olive Hospital, Hyderabad - 500 008, AP, India.